Alabama's first Rose Bowl appearance may have been partly due to a sleight of hand by one of the Crimson Tide's greatest promoters, Champ Pickens. 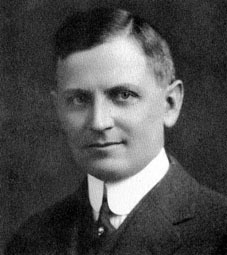 Pickens, who had been a manager for the University of Alabama's1896 squad, remained close to the program after leaving school. He worked tirelessly to promote the Alabama team as well as football across the south. When Wallace Wade arrived in Tuscaloosa and the Crimson Tide began to dominate its regional competition and Pickens believed Alabama should set its sights even higher. 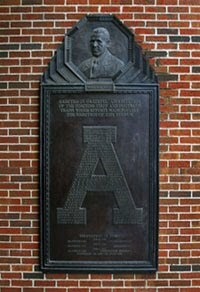 By the middle of November 1925, Alabama had blasted through the regular season with such dominance that the only points scored against them had been a touchdown by Birmingham Southern College. The second-to-last game of the regular season was a tilt against Florida in Montgomery for the Southern Conference crown. In his autobiography, Pickens claimed to have then set in motion the events that lead to the Tide playing in Pasadena. Visiting with Wade in the coach's hotel room the day before the game, Pickens suggested taking the team to play in the Rose Bowl. Pickens said he then put a call into the Governor, William Brandon, who he knew personally and asked if he could send a telegram with the state official's name on it. Brandon agreed. So Pickens sent off the following telegram to the chairman of the Tournament of Roses Committee, Les Henry. Speaking unofficially and without knowledge of the University of Alabama authorities, I want to call your attention to the Crimson Tide's great football record this year. Alabama plays Florida tomorrow for the championship. Please watch for the score. If you are interested in a real opponent for your West Coast team, then give Alabama serious consideration. The next day, Alabama beat Florida 32-0 and claimed the Southern Championship. After the game, Pickens received a return telegram (under the governor's name) from Henry. The Tournament of Roses official thanked Brandon for the earlier telegram and noted "Alabama will be given the utmost consideration" for the upcoming bowl game. Alabama wrapped up the season with a 27-0 drubbing of Georgia. Shortly afterward, the Crimson Tide was invited to play in the New Years Day classic in Pasadena. According to Pickens, Henry later admitted the committee had never heard of Alabama until receiving the "governor's" telegram. Do you know where a copy of the telegram is located?